Chicago’s rich and diverse history and culture has made it one of the most exciting cities to visit. Whether you're looking to explore nightclub hotspots, ethnic neighborhoods, historic venues, or attending a specific event, such as a Cubs or Sox game, one can get anywhere without worry. Just let us know your interests and we can suggest many great areas to visit and explore. 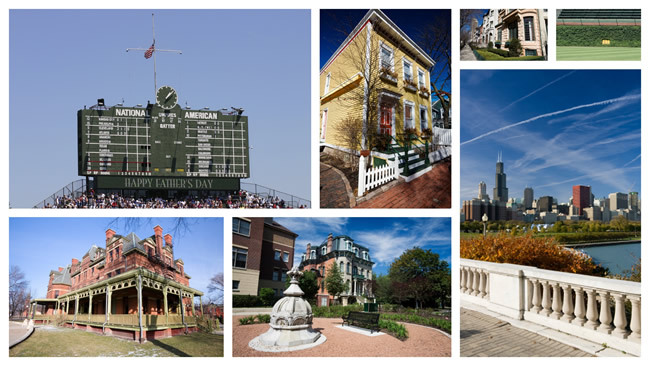 Whether you are interested in visiting Chicago’s ballparks, Al Capone’s favorite hangouts, or exploring Chicago’s world class improv comedy, we can put together a visitor’s package suited just for you, including directions either via train or car. Simply send a note to us in advance at welcome@writeinn.com or talk with the concierge upon arrival.